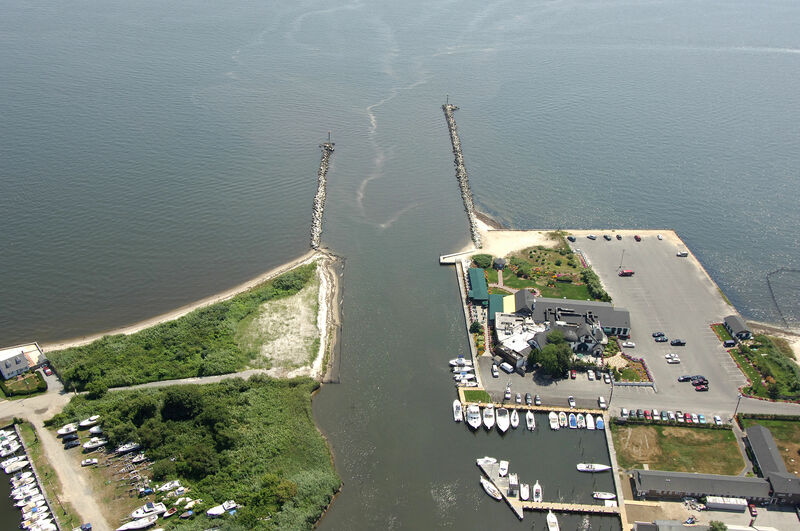 Brown Creek is a small sliver of water with five-foot depths and ample marine facilities off Great South Bay on the mainland side of Long Island in the town of Sayville. Brown Creek is 13 miles northeast of Fire Island Inlet, and 34 miles west of Shinnecock Bay. 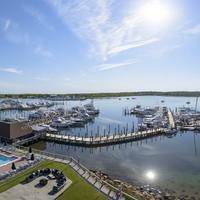 Inside you will find marinas, repair facilities and protected shelter, but no moorings or anchorage space. The town of Sayville is accessible by foot or (more easily) by bike. 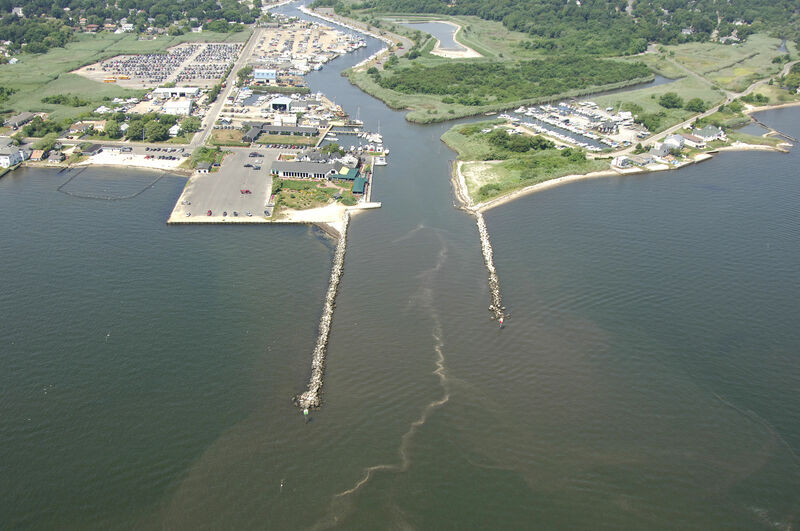 Brown Creek is approached from the south via Great South Bay about 13 miles northeast of the Fire Island Inlet. From Great South Bay, pick up flashing red buoy 34, about one nautical mile south of Brown Point. 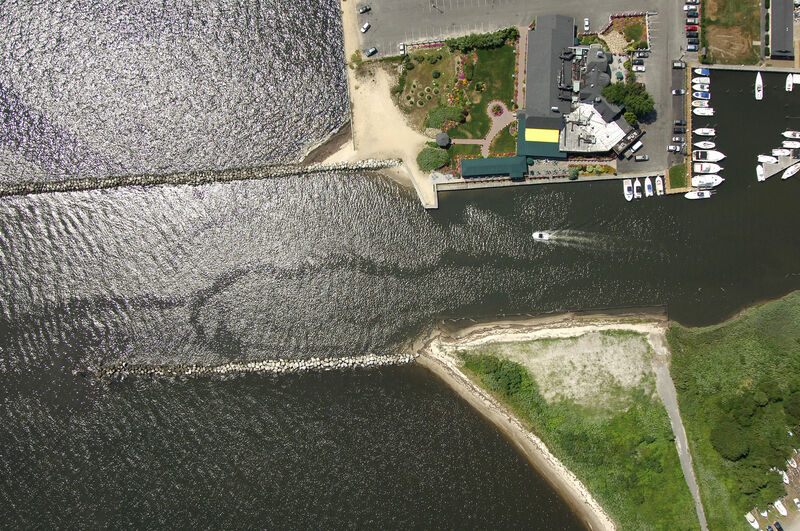 From the flashing red buoy, set a course for the creeks opening at Brown Point along with flashing green 1 and flashing red 2 on the creeks breakwaters (visible in the image above). The controlling depth at the entrance and inside the creek is five feet. 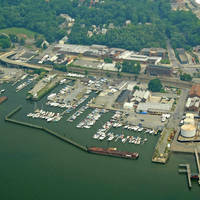 There are five marine facilities on Brown Creek, and three of them have facilities available for transient guests. 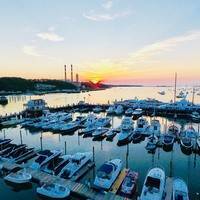 At the entrance to the creek to port is a small marina and boatyard that accepts transient guests, pumps fuel and has haul-out facilities. There is another marina to starboard a bit farther up on the branch off Brown Creek, and it, too has transient slips. The rest of the facilities are up the creek near its head on the east and west sides. No reviews yet! Be the first to write a review of Brown Creek Inlet.